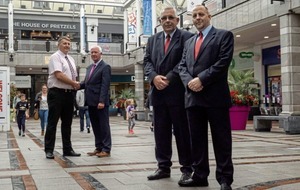 Mercury Security Management contracts manager, Ronnie Heaney (centre-right), is joined by Market Cross Centre manager, John Chatten (centre-left) and Mercury Security officers James Coffey and Liam Dwyer to announce that Mercury has secured a new deal to supply a core team of expertly equipped and fully trained security officers to provide manned guarding services at Market Cross Shopping Centre in Kilkenny. 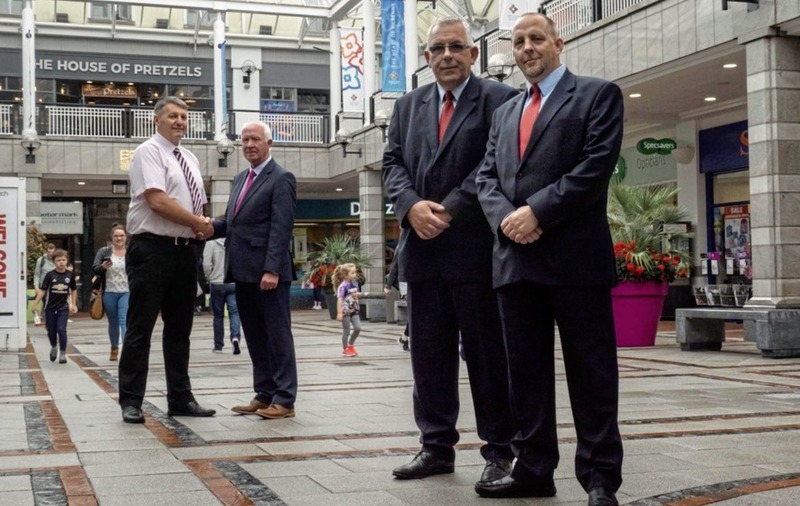 THE north's largest independently owned security company, Mercury Security Management, has expanded its growing portfolio by being awarded a new security contract at Market Cross Shopping Centre in Kilkenny. 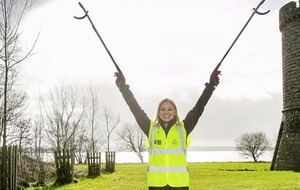 The announcement marks a period of continued growth in the retail sector for Mercury, which in recent months has signed deals with Harvey Norman, Scotch Hall Shopping Centre and Woodie's DIY in the Republic of Ireland, as well as securing contracts with UK shopping centres Hammersmith Broadway and Fulham Broadway. Regarded as one of the country's premiere shopping destinations, Market Cross Shopping Centre in Kilkenny boasts over 40 stores made up of a mixture of local Irish retailers and big-name brands. The new contract will see Mercury supply a core team of expertly equipped and fully trained security officers, with ready access to additional support and resources, to provide manned guarding services at the location. 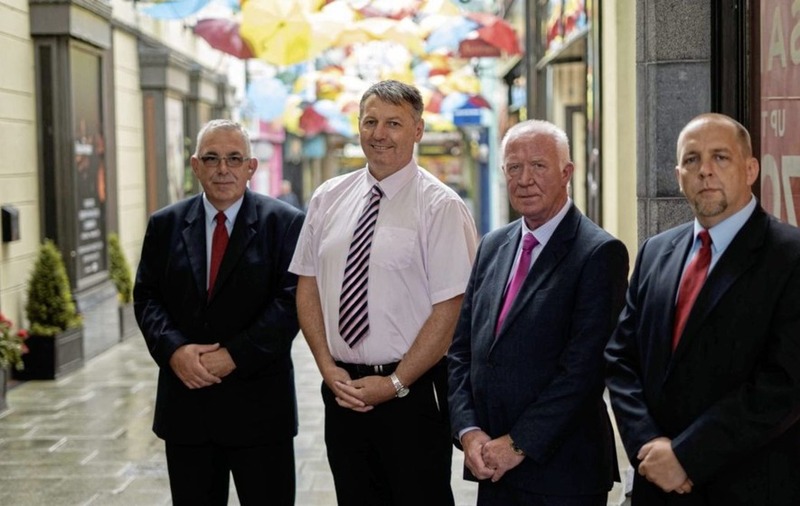 Frank Cullen, CEO of Mercury Security Management, said: “This is a very prestigious contract and everyone at Mercury Security is delighted to be working with the team at Market Cross Shopping Centre in Kilkenny and the property management agent Lambert Smith Hampton in Dublin. “Over the past decade, we have invested more than £5 million into the latest technology and training available to enable us to provide innovative, holistic security solutions to our growing list of clients in the retail space, and in particular shopping centres. " 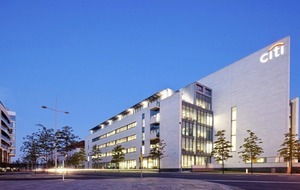 As well as shopping centres, Lisburn-based Mercury, which also has offices in Dublin, Limerick, Northampton and London, provides a range of integrated security solutions to an impressive portfolio of retail clients throughout the UK and Ireland including Lifestyle Sports and Elvery's Intersport.